Cofresi, located approximately 10 km west of Puerto Plata, was named after an infamous Puerto Rican pirate, Captain Robert Cofresi. Originally a small fishing village, today Cofresi is a resort community featuring higher-end hotels and exclusive private villas with picturesque ocean and mountain view. The bay itself is stunning, with soft golden sand melting into crystal clear waters. One of the area's major attractions is the Ocean World Marine & Water Park with the world's largest dolphin lagoon, the only sea lion encounter of its kind, and the world's first shark interaction pool as well as may other exotic birds, reptiles, animals and fish. Beautiful and luxurious resort with all the comforts of home and more! Floating week every year! Inquire for details! All-inclusive and luxurious resort! Floating accommodations! Buyer may receive a title fee credit, inquire for details! Only 2 weeks for Villas in Red Season! Buyer will receive a Free week for villa! Buyer May Receive A Title Fee Credit, Inquire For Details! Motivated Seller! All Offers Welcomed! 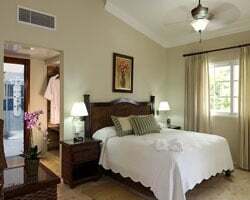 Experience true luxury & pure relaxation at this outstanding Puerto Plata resort! RTU until 2052! Platinum membership! Choose any week in red season to visit this exotic paradise! Luxurious accommodations! Buyer may receive a title fee credit! Beautiful all-inclusive resort with unlimited usage! Pick your vacation dates with a floating week! RTU in perpetuity! Inquire for details! UNLIMITED weeks! Stay anytime 1-52! Maintenance fees paid only when booked! VIP beaches and restaurants exclusively for owners! Price is negotiable! Platinum lifetime membership! Unlimited weeks! 0 maintenance fees. Buyer may receive a title fee credit, inquire now! Unlimited floating Platinum weeks at this luxurious paradise! RTU until 2053! Buyer may receive a title fee credit, inquire for details! Unlimited floating wks in Red season & 2 wks guaranteed in High season! RTU until 2052! Buyer may receive a title fee credit; inquire for details! Elegant villa in spectacular Cofresi! 2 yearly floating weeks with RTU until 2052! Buyer may receive a title fee credit; inquire for details! Annual floating, gold season week! Enjoy multiple pools onsite! Buyer May Receive A Title Fee Credit, Inquire For Details! Unlimited floating wks! Use as many wks a you want during platinum season! Buyer May Receive A Title Fee Credit, Inquire For Details! 15 years remaining on the RTU with 54 weeks! Gold season membership with all inclusive rights! Unlimited usage in paradise in floating, Platinum season weeks! RTU in perpetuity! All reasonable offers considered! The ultimate in luxury! Studio, 1 brs apts, 2 br penthouses, or 3 & 4 br Crown Villas. 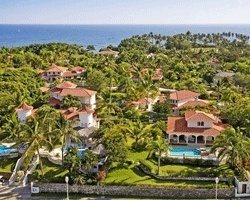 Rare resale in gorgeous Puerto Plata, motivated seller. All Inclusive resort, the ultimate in luxury! Studio & 1 br apts, 2 br Penthouses, or 3 & 4 br Crown Villas. Rare resale, price is negotiable. UNLIMITED USE THROUGHOUT THE YEAR NO RESTRICTIONS FOR UPTO 12 GUESTS IN ANY OF THE EXCLUSIVE 5 STAR VILLAS ON THIS TROPICAL RESORT! Price Reduced! Platinum unlimited ownership! Price is negotiable. Property is available 52 weeks a year! Unlimited wks a yr! Platinum lifetime membership: Limo or helicopter pick up a airport, private beaches & clubs! Great investment for a rental property. unlimited access and the ability to produce a great monthly income. Buyer May Receive A Title Fee Credit! This membership is all inclusive and requires a fee to use. No blackouts! Buyer May Receive A Title Fee Credit, Inquire For Details! Unlimited floating week! RTU until 2052! Buyer May Receive A Title Fee Credit, Inquire For Details!